Nations Press feature news GOOD NEWS: Proposed Cable Car, Solution for Traffic might be Implemented! MUST READ! 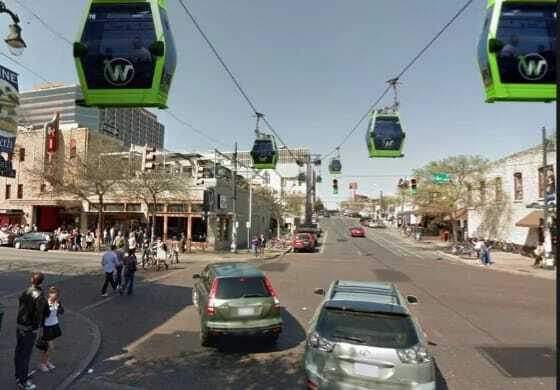 GOOD NEWS: Proposed Cable Car, Solution for Traffic might be Implemented! MUST READ! SPONSORED LINKS Arthur “Art” Tugade, Incoming secretary of the Department of Transportation and Communication, thought of a peculiar way of solving the Metro Manila traffic: use of cable cars. The incoming secretary said cable cars running about five to ten kilometers from Pasig City to EDSA and Makati City might help decongest roads. Tugade said that the use of cable cars, which has 35 passenger capacity, is definitely being studied. The idea was borrowed from a Bolivia experience where there are cable cars, he said. “Kaya ko ho naisipan iyan, again, hindi ko ho orihinal ‘to. Mayroon hong mga nag-suggest niyan ‘pag nag-dagdag tayo ng kalsada at nag-construct tayo e lalong makakatrapik kung gusto mo ng additional capacity, pumunta ka sa itaas,” he said.